A newly renovated property completed to an extremely high specification warranted elegant styling to an equally high standard. In the living area a palette of mid-grey was chosen to soften the black finishes, with a large-scale original Antionette Ferwerda piece commanding attention. Each of the four bedrooms were individually styled, including a master suite with king bed, two double bedrooms and a child's bedroom. The entrance hallway created a memorable impression, through the installation of two original Kerry Armstrong pieces. Both the front and rear decks were dressed to ensure the property felt welcoming from end-to-end, with real foliage also used throughout. The property sold prior to auction. 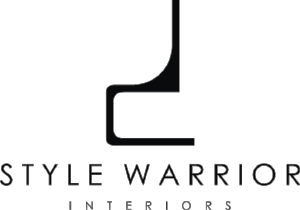 When styling our property to sell, Style Warrior Interiors were able to transform it from a blank canvas into an appealing home. From the luxurious furniture and original artwork, to the attention to detail of colours and textures, Amanda was able to create a welcoming and memorable home.